It is July: Hot, Sunny and Windy! 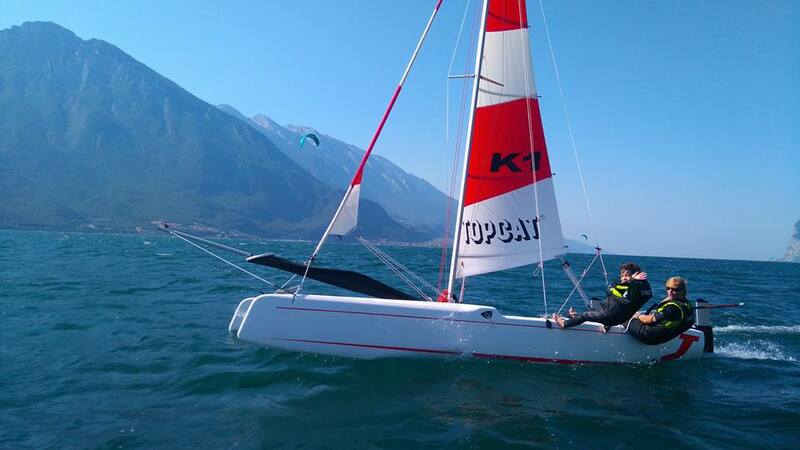 Perfect conditions for some catamaran sailing on Lake Garda. Today in the morning at 6:45 all the kitesurfers met at the Limone Watersport center. They are the early birds, catching the wind further up North. 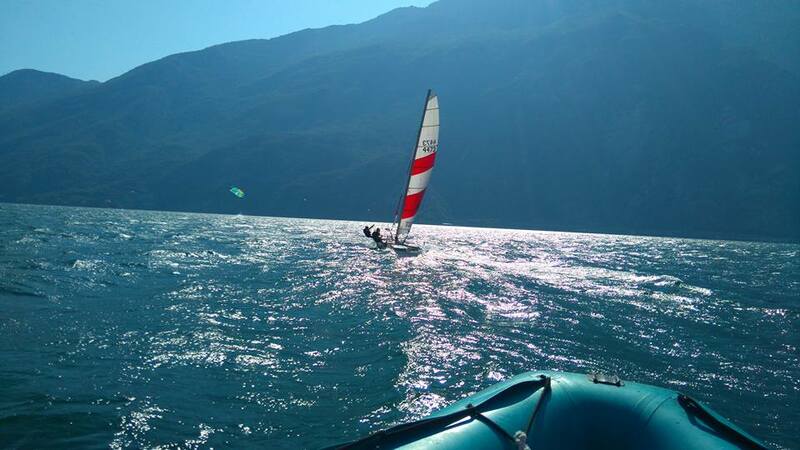 At around 7:00 the RIBs leave who bring the kiters to the best wind Spot of Lake Garda. When the catamaran my lesson today was schedule at 8:00, for me that is late but we still got some amazing wind! After 5 minutes gearing up the 9 year old, 30 kilo Alberto was ready. Yesterday late afternoon we already practised how to put on the harness and how to stand in the trapeze. Now it was time for the real deal. As soon as we floated out towards the wind area the waves where building up. Strong wind and big waves are a hard combination to start learning trapeze sailing. So we tacked upwind (using the main sail only_) until we got at the northern kitespot. Always nice to wave at my collega's and here you have the most stabile wind and the least waves. Here Alberto managed to get out in trapeze and keep standing! After a little while he went hands free and even manage to touch the water. For 5 minutes he also steered the boat but today he preferred to have fun hanging in the trapeze. Around 10 am the wind got less so we unrolled the jib and Alberto moved the jib with every tack and gyb we made on the topcat. 10;30 we where back on the land. It was a great morning sailing the topcat with Alberto. The good news, he likes his catamaran test lesson and is going to continue learning to sail the top cat! Wenn du ein Angebot für ein anderen Zeitraum möchtest schreib uns einfach eine Mail oder ruf uns an.